River water slows after a dramatic drop from a natural waterfall. and flows around boulders and trees in Cambodia. with sound. hd00:11The river flows through the rainforest in the jungle.Tropical river, jungle.Tropical Rainforest Landscape.Tropical mountain stream with sunlight. 4k00:12Beautiful waterfall in Thailand tropical jungle. Erawan waterfall. 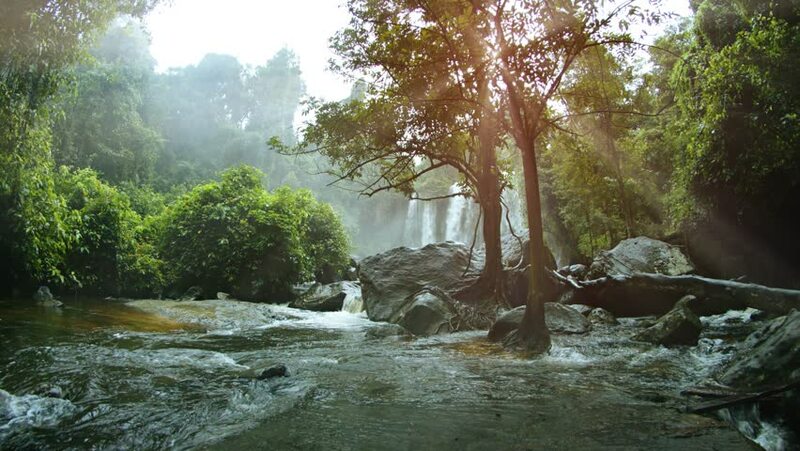 hd00:12HD video of beautiful waterfalls in Thailand, showing a pond with fish. Erawan falls.